Subject to approval, Singaporean-headquartered ComfortDelgro has purchased Buslink – Australia’s largest privately owned bus business – for AUD$190.9 million. It is CDC's largest acquisition in the country to date. As the company states, the acquisition of Buslink Pty Ltd, Buslink Southern Pty Ltd and their 11 corresponding depots, is significant on two fronts: "It provides ComfortDelGro with immediate access to the Northern Territory and Queensland – both of which are unchartered territories for the Group – and enables it to grow its existing bus operations in New South Wales (NSW) and Victoria." This purchase is also the latest in a series of new acquisitions undertaken by the Group as it, "re-engineers itself, building on existing strengths while expanding into new avenues of growth," it says. Chairman Lim Jit Poh said: "Disruption is taking place all around us, affecting the way we do business. We cannot sit idly by. Changes are taking place all around us and, with that, come opportunities." "To this end, we have embarked on a more aggressive investment strategy as can be seen from the fact that we have invested over S$450 million in the year to-date. "We have also moved into new related businesses like non-emergency patient services and worked at growing existing revenue streams like non-scheduled bus services. "We are also exploring opportunities in new businesses which leverage on technology and artificial intelligence. No stone is left unturned," he said. Certainly, the latest acquisition in Australia comes hot on the heels of a slew of investments around the world, including Singapore, the United Kingdom and China. ComfortDelGro (CDC) managing director and Group CEO Yang Ban Seng said: "This is an excellent opportunity for us to expand into two new states in Australia and to increase our footprint in NSW and Victoria." "With a combined fleet of over 2,250 buses now spread across six states and territories, ComfortDelGro will be the largest private bus operator with a good spread of contracts to increase our resilience. Our experience in NSW and Victoria - where we run extensive scheduled and unscheduled bus services - will stand us in good stead as we embark on this, our largest acquisition to-date." 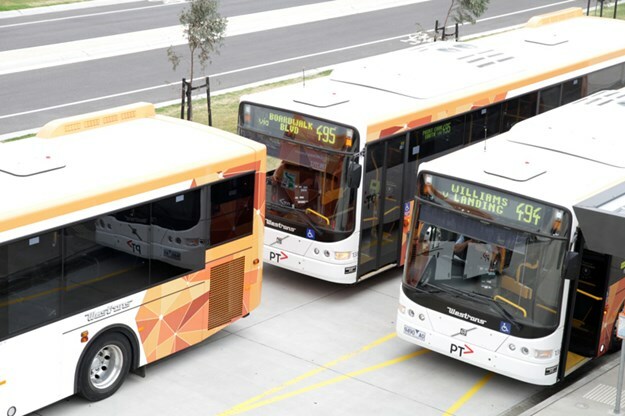 Set up in 1988 with just three buses, Buslink now operates in eight locations across four Australian states and territories with a fleet of 401 buses and staff numbering more than 500. Significantly, it is the largest operator in the Northern Territory and a major service provider in Queensland. Buslink is the largest private operator in the Northern Territory servicing practically all of Darwin’s school services and approximately 70 per cent of Darwin’s urban network. According to Tourism NT, Darwin is Australia’s second fastest-growing capital city with significant tourism economy and assets, such as the world-famous Kakadu National Park, Uluru and Katherine Gorge. 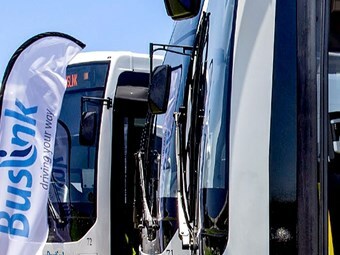 In addition to the operations in the Northern Territory, Buslink also operates a sizeable business in Queensland and is based primarily on the Sunshine Coast and Gladstone. Its service offerings comprise bus transportation for urban, school, special needs, employee transport, and charter services. In NSW, Buslink operates in Broken Hill, while in Victoria, it runs bus services in Mildura. The deal, which will be conducted through wholly owned subsidiary, ComfortDelGro Corporation Australia Pty Ltd, is subject to regulatory approval. It comes barely three months after the Group announced an A$110 million acquisition of FCL Holdings Pty Limited, which runs Forest Coach Lines in Northern Sydney and regional NSW. The Buslink acquisition marks the Group’s fifth in Australia this year. Other new additions to the Group’s Australian footprint are: National Patient Transport Pty Ltd, a non-emergency patient transportation operator; Tullamarine Bus Lines Pty Ltd (TBL) in Victoria; and Coastal Liner Coaches in outer Sydney. With the latest acquisition, ComfortDelGro - which entered the Australian market in 2005 - will operate in six states of Australia: NSW, Victoria, Western Australia, Canberra, Northern Territory and Queensland. It has a fleet of more than 4,200 vehicles comprising buses, coaches, taxis and ambulances. It also offers outdoor advertising services, the company states. ComfortDelGro is one of the world’s largest land transport companies with a total fleet size in excess of 43,000 buses, taxis and rental vehicles, it states. Headquartered in Singapore, the Group also has operations in China, the United Kingdom, Ireland, Australia, Vietnam and Malaysia.